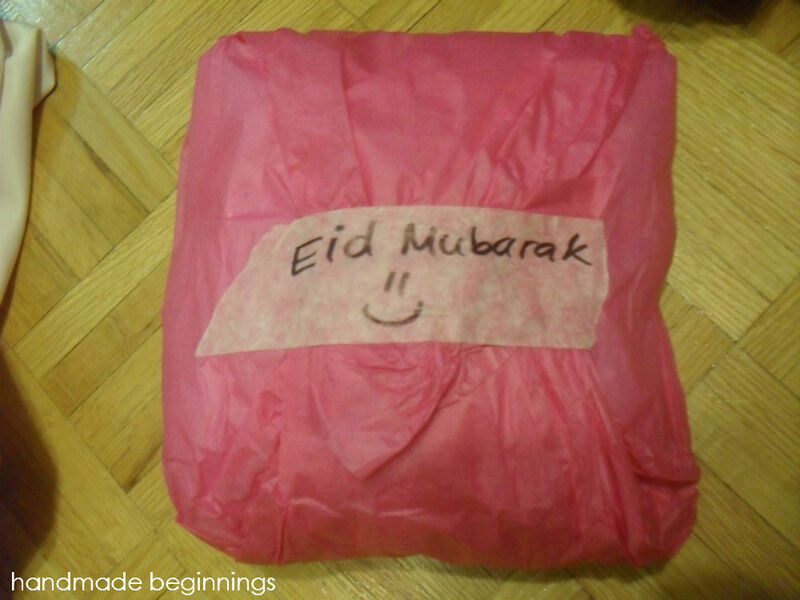 On Eid the kids and I played a Hot Potato game using a tissue paper wrapped gift. My mom did this game a couple of years ago and it was really fun so I thought we could try it again. For this game we sang “Eid gift, pass it on, pass it on, pass it on, Eid gift, pass it on, EID-MU-BARAK! The person it who was holding it when the song finished got to open one layer and then answer the question that was taped there. For example, “What are the 5 pillars of Islam?”, etc. When the kids reached the final layer, there was a sweet candy surprise that all of them shared! This was a great alternative to a pinata, because there is just no place to hang a pinata in my apartment. It was also a good way to review Islamic concepts :).